First Medical Response is a training provider based in Port Elizabeth. The company offers training in SETA registered and accredited first aid in levels one to three, as well as fire and safety training. FMR courses are also internationally recognised. The first aid level 1 course is the minimum requirement for compliance with the Occupational Health and Safety Act. First Medical Response offers a two-day course that is valid for three years, and can be adapted to meet client’s operations, if necessary. 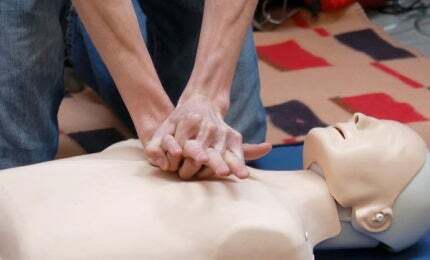 First aid level 2 is a four to five-day course. Level 2 offers a more intensive programme, with a broader range of information. The completed certificate is valid for three years. The level 3 course teaches how to give primary first aid care in the workplace, for health emergencies, particularly occupational risk in the workplace. The four to five-day course can be adapted to suit the client’s workplace. First Medical Responses’ firefighting course equips employees with the skills to fight incipient-stage fires in the workplace. One to two days of basic training enables employees to identify different classes of fires and to contain, prevent and extinguish them using basic firefighting equipment. First Medical Response offers a course designed to inform health and safety representatives of the legal requirements regarding health and safety in the workplace. The participants will learn the rights, powers, functions and duties of the workplace health and safety representative, and how any problems concerning health, safety and environmental may be handled. First Medical Response began out of the need for first aid and safety training as stipulated in the Occupational Health and Safety Act (Act 85 of 1993). This act made it a legal requirement for employers to have trained first aiders in the workplace. First Medical Response was awarded with full SETA accreditation in 2012, and thereafter expanded significantly within its borders offering the much needed skills of first aid, fire and safety techniques. In 2014, First Medical Response was awarded with an international accreditation. First Medical Response offers first aid, occupational health and safety, and basic firefighting courses for the mining and metals industry.